Will they be good, or won't they? Will we be disappointed, or surprised positively? Which is it going to be? I'm talking about the earnings that are going to start tomorrow and whether they can power the market higher or send it into oblivion. I think the market meandered today because the fear is palpable but no one really seems to want to leave the table because, once again, while the slowdown in the wake of that last rate hike is still palpable, the alternative to stocks, the bond market, has once again offered a shrunken return. You will do fine owning a well-balanced portfolio of high growth stocks and ones that offer a good dividend with no balance sheet stress regardless of what is going on in the actual market on a day to day basis. Still let me give you an earnings cheat sheet for pitfalls and opportunities for the first stocks that report right out of the chute: the banks. And that's good news for the bank stocks. Let's start with JPMorgan Chase (JPM) and Wells Fargo (WFC) which report Friday. I think that JPMorgan's problematic because it's only six points off its high. But as I said yesterday to a nice gentleman in the elevator riding down from JP Morgan's retail conference, any time I can buy what many think is the premier bank in America with a 3% yield I will buy it unhesitatingly. But you know what would be even better? Buying it at a 3.5% yield. Which brings me to the first rule of bank earnings season. These are completely ungamable stocks. There are so many moving parts, so many line items, so much arcane jargon that it's almost impossible to figure out which way a bank stock will trade from the headlines. I cannot possibly tell you how many times I have seen gunslingers buy JPMorgan stock as it is rallying in the pre-market trading only to take a beating by the time Marianne Lake, the incredibly good CFO, finishes her talk on the conference call. Lake just can't seem to help herself. She insists on telling the bad with the good. She insists on telling a story that makes me feel like this isn't that good a time to buy any bank stock. She doesn't mean to be downbeat. She just seems to like to tell people what's not so hot while Jamie Dimon tells you what is. That's where the stock price comes in. At $106 with a 3% yield I think we will be more interested in what Jamie says than what Lake says. We did just get Jamie's letter and while he's as bullish as ever we are going to hear a lot of earnings have peaked nonsense after the call is over. That's been the prevailing theme. I don't think JPM's going to change it. But what about Wells Fargo? I think this is the cheapest I have ever seen the stock of Wells Fargo, with a 3.8% yield and a 9x price-to-earnings multiple. But then again it doesn't have a CEO which is a pretty big deal. As a Tim Sloan devotee, though, I will say this, the retired CEO of this tremendous bank may have quit in a huff, but he didn't quit when the going was bad. He has left the new CEO with a clean bank that has returned to growth. With rates back down and trust being rebuilt, I want to own this stock ahead of who the company appoints, because you are going to hear that Warren Buffett, the bank's biggest shareholder, likes the new choice and that's going to bring in buyers. Yes, he was hands off enough to not know that Sloan was retiring given that he backed him on CNBC 100% just a few hours before Sloan announced he was leaving. Again, though, with the stock down here and the yield so good versus Treasuries, I think it is a much better buy at $47 than JP Morgan's stock at $106 given that Wells is just four points from its December low versus JPM's 15 point distance from those ugly Jay Powell-induced moments. Thank heavens those days are past. Next week we get the rest of the banks and I think they will, again, not surprise but because of how low they are, they don't need to. On Monday, Goldman Sachs (GS) and Citigroup (C) report. We own both for my charitable trust which you can follow along by joining the Action Alerts PLUS club, and I am going to tell members on my monthly call on Friday that while both are cheap, that might not be enough to move the needle. Citi's been missing numbers but has been buying back stock by the bushel. It has meant nothing, though to shareholders who want to see growth and Citigroup isn't giving it to them. I think Goldman is going to print an amazing number but it won't matter because until their enmeshment in the fraud that is Malaysia gets cleared up, I just don't think it will be able to head back to $262, not that it will drop 50 or so points from $203 on bad news. So why own it? Simple: I believe that the Malaysian scandal will end up being small potatoes: at most a couple of quarters worth of earnings, and people will wonder why the heck they sold the stock of the best investment bank at seven times earnings with no real franchise risk and a CEO, David Solomon who is rapidly getting a reputation as a guy who is creating tremendous incentives to win. I see many good quarters ahead, but they will be obscured by a fraud that could not have been caught even by the best of compliance systems which, by the way, happen to be exactly what Goldman has. Bank of America's (BAC) stock is only two points off its high, which is worrisome, and I am not sure it can truly move the needle unless it delivers a monster upside surprise and that simply isn't the way of this great bank. At 10 times earnings it's just not going to draw the buyers as it should. Which leaves the bank that I think has the most potential to surprise and put up shockingly good numbers: Morgan Stanley (MS) . James Gorman has got this place humming after a less than stellar previous quarter. I have rarely seen a CEO more motivated to crush the numbers than this terrific guy. Get this: Morgan Stanley is the University of Virginia men's basketball team of banks. Last year they were the worst, being beaten by a 16th seed, never happened. This year they won. That's what Morgan Stanley's most likely going to do this earnings season. The banks seem boring to all but the real financial geeks. The smart money is in the fin techs anyway, Mastercard (MA) , Visa (V) , and to a lesser extent American Express (AXP) . But to me the group sets the tone and that's a lucky thing because when you come in ice cold as the banks are this time, your stocks tend to go higher on even the slightest positive provocation. 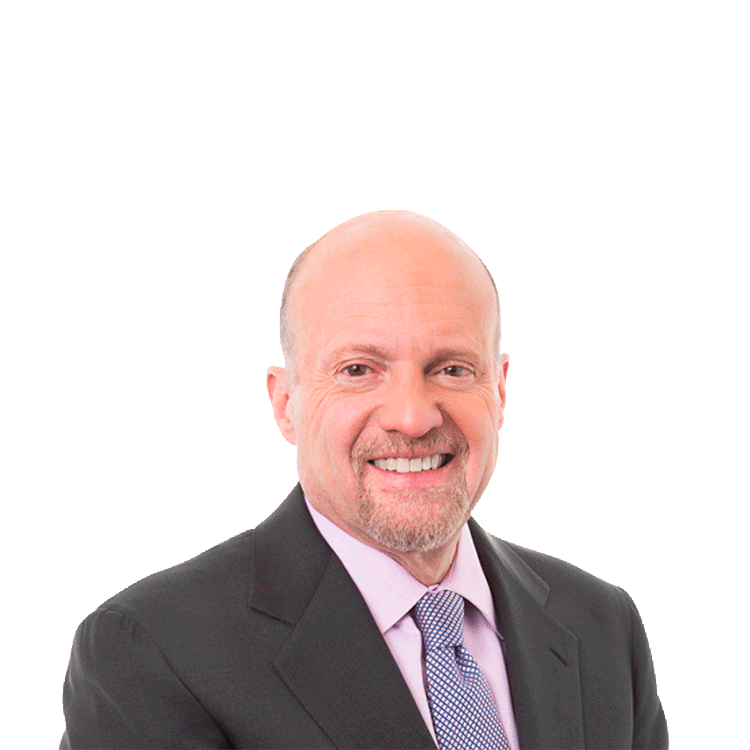 Action Alerts PLUS, which Cramer co-manages as a charitable trust, is long JPM, GS, C.